Your home is the place that you should find peace and comfort. It should be your sanctuary, the place that allows you to unwind and to release the stresses that plague you. But in order for that to be the case, your home needs to be off of the list of things that cause you stress. Everyone has home projects that need to be done. But if you can wrap up some of the bigger ones, like the roof replacement or repair you’ve been contemplating, then going home will start to become something that you look forward to. Perhaps you have a bit of roofing experience under your belt. Or maybe you pride yourself on being exceptionally resourceful, and thrive on the challenge of a new project. Whatever the case may be, and however you may feel about your chances at roofing success, it could be a wise move to get in touch with a local roofing company, just in case. Using the services of local roofers takes the burden off of you, and frees up your own time for other projects, or for that down time you’ve been craving. Using professional services could also end up saving you money in the long run as well. Imagine attempting a job on your own and hitting a snag or making a mistake that ends up calling for the services of a professional company anyway. You may end up putting more money into the project than is necessary. Everyone has a different vision of what would constitute their dream home. There are many different styles for many different tastes, but everyone can agree on the fact that they would prefer to live in a house that is comfortable, fully functional, and does not add stress to daily life by needing constant or excessive reconstruction or fix-it projects. The right roof is a major part of that. For starters, a lot of people consider the overall look of their home to be important. What other people think of your home shouldn’t matter, but not coming home to an eyesore is a nice perk. And there is nothing wrong with taking pride in the appearance of your home. Many people may not realize it, but the roof of a house accounts for about 40% of the exterior appearance. Having a roof that is intact and complements the rest of the house is part of realizing the dream of your ideal home. While the look of your roof and of your home in general is important in some ways, the more crucial aspect of a good roof is that it does what it is meant to do. Keeping the home warm, secure, and dry is paramount. And for your roof to succeed at its main function, there are quite a few factors that come into play. 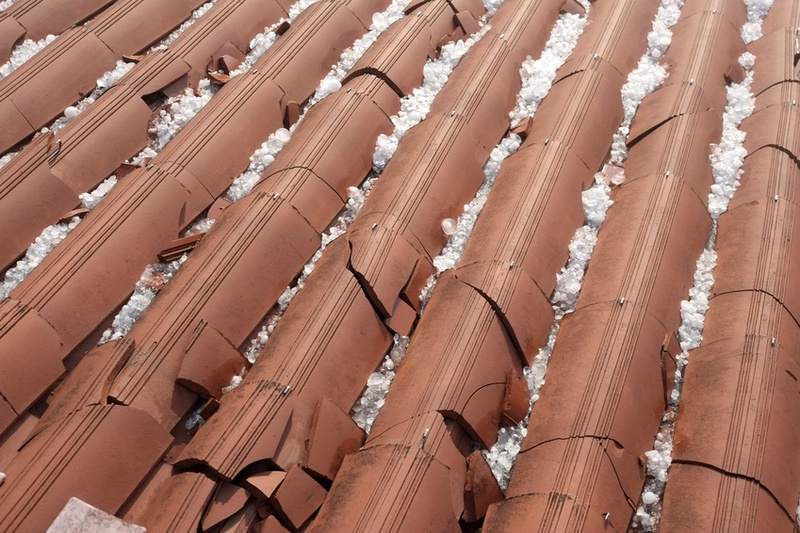 Roof shingles should be installed with a slope of 18 degrees or more, since the slope, as well as gravity, play major roles in shedding water from the top of the house. Proper installation also encompasses the use of the right type of shingles and proper placement. If your roofing project has gone well, when all is said and done, your newly improved roof should be able to provide your home and your family with at least 12 to 15 solid years of protection from the elements. However, even if your entire roof has just been completely redone, you should be scheduling routine maintenance checkups with your local roofers, to guarantee the rapid resolution of any small problems that could creep up, and getting them taken care of before they develop into something much more difficult to deal with. These inspections should occur once or twice each year. Your home has the potential to be your ideal sanctuary. Topped with the right roof, your home could become the place you are most excited to escape to for a bit of unwinding.